Halloween has come and gone. Just like that. 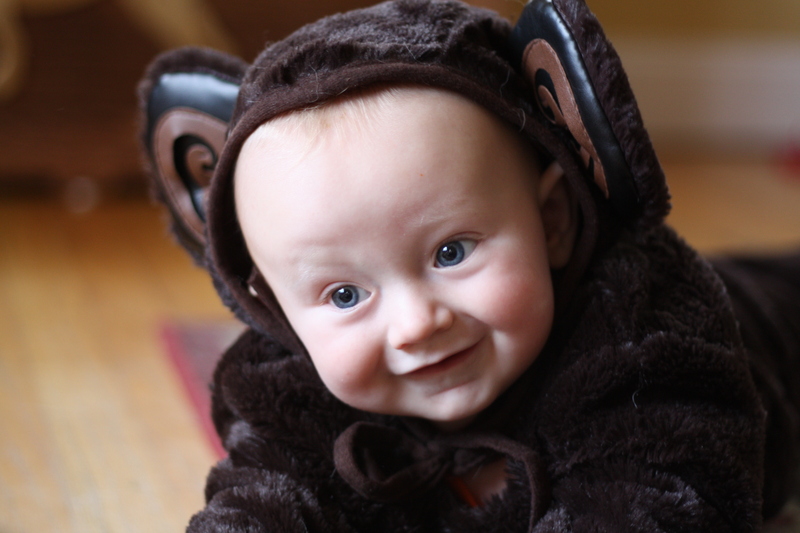 The costumes have been washed and packed away (though I think I’d put my baby in his monkey costume everyday if it were socially acceptable to do so). The candy has been picked over for the good stuff. (You know who I’m talking about, Almond Joy.) And the daily morning frost makes it feel more like winter than autumn. We’re on the fast track to Thanksgiving. And with Thanksgiving comes one of my favorite meals of the year. Comfort food just doesn’t get much more comforting than Thanksgiving dinner. Savory stuffings, tart cranberry sauce, vegetables doused in cream, doughy buttered rolls, and pie. Sweet, delicious pie. This recipe comes by request of a reader in search of a recipe for a graham cracker coconut crust to use for a fresh pumpkin pie. 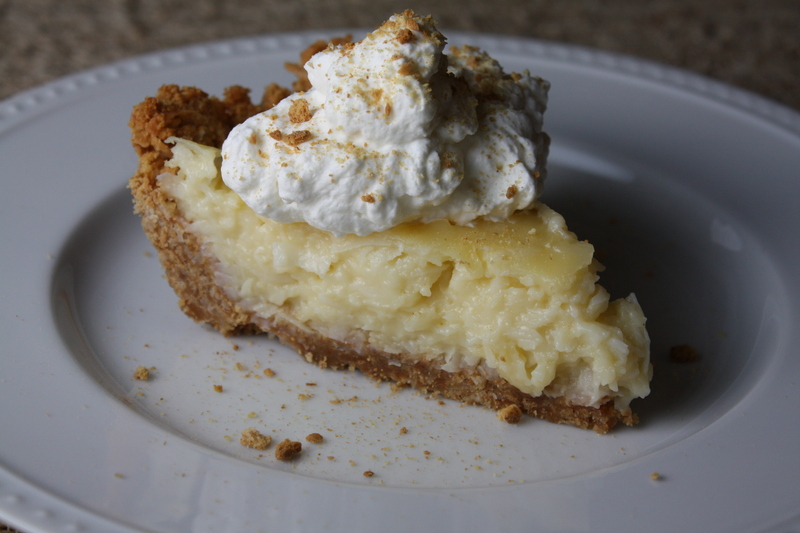 I decided to use my crust to make a seriously satisfying coconut custard pie, but this crust would also work beautifully with a fresh pumpkin coconut pie filling or any other filling you can dream up. This recipe is written for use with a deep pie dish. 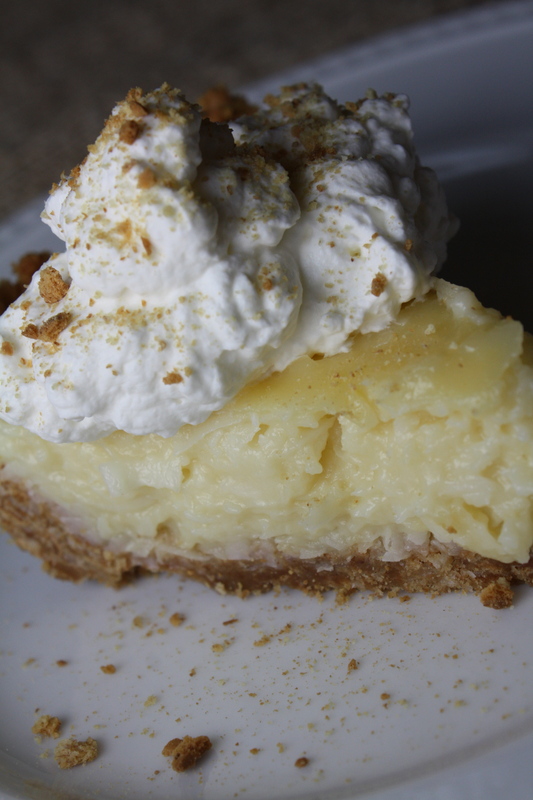 If you have a more shallow pie dish, you will probably have some extra crust and custard. Spoon the extra custard into cups and top with some of the extra crust mixture for a tasty little treat! *If you’re looking to reduce the calorie and fat content, skim milk will work just fine! 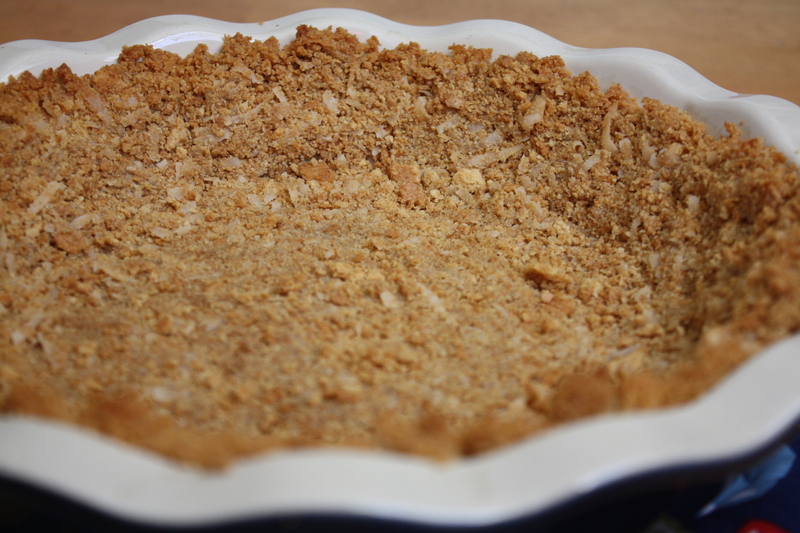 To make the crust: Combine graham cracker crumbs, coconut, brown sugar, and melted butter. Press the mixture onto the bottom and sides of a deep pie dish. Bake for 13-15 minutes at 350 degrees. To make the custard: Bring the milk, sugar, vanilla, salt and cornstarch to a simmer over medium heat, whisking frequently so that the sugar and cornstarch dissolve. Once the mixture begins to bubble and thicken, reduce the heat. In a separate bowl, lightly beat the egg yolks. Gradually whisk about 1/2 of the hot milk mixture into the egg yolks, starting with a slow drizzle. (Gradually incorporating the hot milk into the egg yolks tempers the eggs, allowing them to slowly rise in temperature without scrambling.) Gradually whisk the egg mixture into the remaining hot milk mixture in the pot. Bring to a gentle boil over medium heat, whisking constantly for about 3 minutes, until thickened and smooth. Stir in the shredded coconut. Pour the custard into the prepared crust. Cool for a few hours, until set. Garnish with whipped cream and toasted coconut or crushed graham crackers before serving. Posted in Food and tagged autumn, baking, coconut, comfort food, Cooking, dessert, Eating, family, Food, halloween, kids, pie, pumpkin, Recipes, Thanksgiving. Bookmark the permalink. I think you should FedEx one of those pies to your Uncle Slug! I made this but I used a prepared chocolate crumb crust that I had on hand – it was sinfully delicious. The custard was wonderfully light and tasted of coconut without being overpowering. Thank you!